Big Fun majored on fundamentals, but which fundamental he used evolved over his 19-year career. For basketbloggers, summer is ripe for wordy, meandering larks and the most superfluous of poppycock; all the stuff we’d like to write about during the season but can’t because of the million other things going on. Which is why when Pounding the Rock’s bossman, J.R. Wilco, asked me if I’d like to revisit the significant but understated changes to Tim Duncan’s game over his lengthy career, I said yes — even though I suffer from one of the worst sports memories possible. I’ve told J.R. this before, to which he texted back, “Not a great attribute in a writer,” before following it up with a single, reassuring emoji. But it’s true. 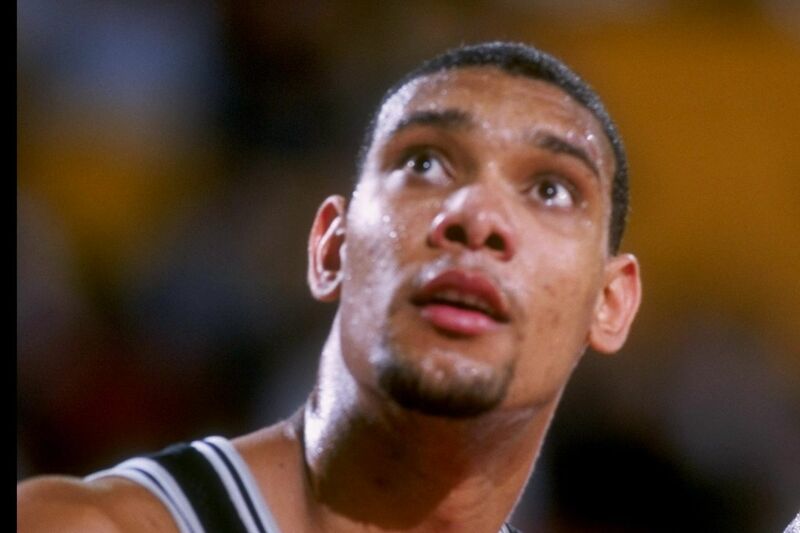 When I thought about Duncan and his season-by-season permutations, even from year one to year nineteen, I struggled. It’d be hard for my mind not to jump to other large and everlasting things, like a mountain or a planet. Such was the greatest player in Spurs history to me: something so monolithic and hyperbolic that everything starts to blend into a composite. You could describe him catching the ball at the top of the key and swinging it; trotting, head-down, into the lane; setting a screen for a guard curling around the baseline; receiving the ball again from said guard, and one-two-threeing in the post, and I would not know whether to picture Stephen Jackson or Jaren Jackson on the wing. These two plays happened 16 years apart and, although one shows considerably greater ease than the other, the same mastery of angles and leverage applies. But even planets undergo geological shifts. And while Father Time first pointed his whetstone at Duncan’s left knee, the teammates he played alongside and Gregg Popovich’s various coaching styles also had a say in his evolution. Consider this: the Spurs’ starting frontcourt in the 1998 playoffs was Duncan, David Robinson and 32-year-old Will Perdue. That meant that in his first-ever postseason, the GOAT PUFF laced them up as the de facto small forward, often guarding three-point shooters like George McCloud on one end and looking to apply his limitless skills on the other, while sharing the floor with two other seven-footers (plus another non-three-point threat in Avery Johnson). It was a sign of the times that the Spurs got away with running out such a congested lineup (getting past the Suns in round one), but it’s also indicative of who Duncan was then: a unique blend of elite skills, mechanics and athleticism in a big man’s frame. From afar, those mechanics rarely seemed to change, and instead appeared more like an athlete reacting through sheer muscle memory. But, in the micro, you can see areas where he was constantly adapting, whether as a result of experimentation or sheer necessity as his knees waned. Take Duncan’s free-throw shooting — an often-frustrating exception to an otherwise-uncannilly consistent career, jumping from 61.8% in 2000-01 to 79.9% in 2001-02 and then tumbling back to 59.9% by 2003-04 (he finished his career averaging just under 70% from the line). Were those ebbs and flows a result of the changes in his form, or were those changes a response to his struggles? And how much did left-knee injuries play into his shifting to a form which clearly favored the right leg? 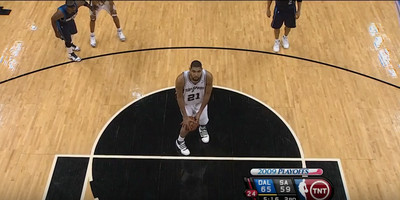 It’s hard to say how much of an impact Duncan’s injuries played in his free-throw shooting, or his jumpshot, or his post game, or in how he anchored a number of the NBA’s greatest defenses. We already know in scanning his accomplishments over 1,643 total games, that he got by just fine. What this series will explore in the next few articles, in a handful of ways, is how.